There’s a few myths people have about outsourcing. One is that it doesn’t make sense to pay someone to do what they can just do themselves. Another is thinking that they can’t afford to outsource. Are you working too late? Are your projects moving too slow because you’re getting caught up in all the details? Whether you answered yes to all or only one of those questions, it’s time to outsource. The first thing you need to do is identify the tasks that aren’t the best use of your time. Start writing down the tasks but pay attention to how much time you spend on them. After you have your list think about what else you could focus on if these tasks were taken out of your hands. For example, let’s say you’ve noticed you’re spending 3 hours a day on handling customer service. 3 hours a day! Think about everything you could focus on instead if you freed up those 3 hours a day (or 15 hours a week Mon-Fri). This wasn’t just a random example. It’s exactly what was happening in a friend’s business and when she finally let go of the control and handed this task over to her Virtual Assistant, it was only taking her (the VA) 2-3 hours a week total! Sure there was some extra time involved in the beginning to train the VA on how to handle things, but in the long run that extra time in the beginning is well worth it! Let me back up for a second. If you’re just starting out outsourcing, I don’t recommend you start with a big task like that. It takes time to build trust and a good working rapport with a VA and to even find out whether the two of you will mesh well together. So, start with something smaller and work your way up to handing over the customer support. After all, that tends to be one of the hardest things to let go of. So, let’s look at a different example now. Let’s say you produce a lot of small reports for your community. Do you love the creating part (writing the content, sharing examples or case studies, etc.) but hate the formatting and setting up the product portion of this process? I bet you notice a few things in this case – you procrastinate on the parts you dislike doing and it takes you a long time to complete it when you finally do take the initiative to get things done. Am I right? You can hire a service provider on a retainer basis or even a per project basis to handle the formatting, turning into PDF files, and setting up the shopping cart/purchasing elements of each one of these tasks. Above, you started a list of tasks that aren’t the best use of your time. Most people don’t have a problem creating this list, but if you got stuck here are a handful of common things people write down when doing this exercise. And that’s just some of the things that can be outsourced! Your list could include some of those or none of them. It just depends on your business and what you’re working on. You should have also started tracking how long those tasks took and written down the amount of time you were spending on each one. It’s also a good idea to add notes to your list about when and how often each one of those tasks needs attention. You’ll also need to jot down software used and skills needed to handle each project. The last part of this is to figure out how many hours it’ll take someone to handle these, each week, for you. 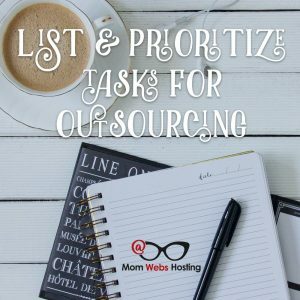 After you’ve prioritized the projects and figured out how long you’ll need someone to devote to a task(s), you need to think about an outsourcing budget. This is an important step when it comes to outsourcing. For example, if you only have a budget of $300 don’t expect to get 50 hours’ worth of work done. You have to be realistic. And this circles back around to why you prioritized tasks – make sure you pay to have the highest priority project completed first. Having said that, hopefully when you were prioritizing your list you thought about things that would affect your bottom line and considered those more important than something else that needs to be done but isn’t a direct result to your income. For example, maybe you need a new Facebook cover to match new colors on your website. That’s something that would more than likely be considered a low (or lowest) priority task. It’s not going to affect your income. But if you have a small report written that can be sold but needs to be formatted, turned into a PDF and set up for sale, that is a task that probably would be considered highest priority because it will affect your bottom line. 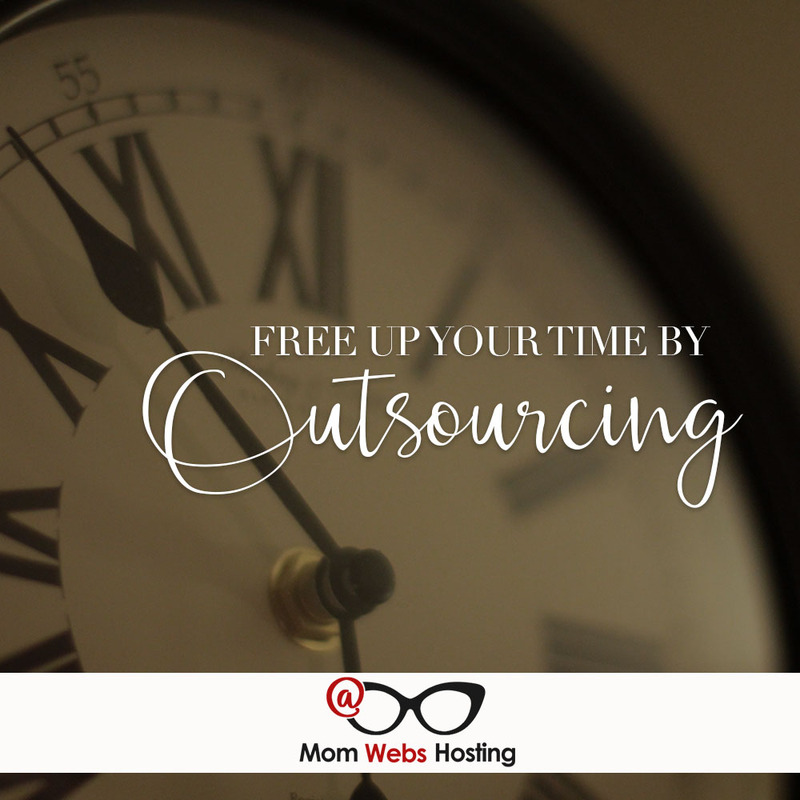 You don’t want to make the mistake of outsourcing just for the sake of doing it. When you do it, you want to do it effectively and strategically so it’s a benefit to you and your business. The whole point of hiring a service provider should be for a couple reasons already mentioned – to free up your time to do more of what you enjoy and to increase your bottom line. And that’s why it’s important to take the time to do the ‘leg work’ before you actually hire someone. Now that you’ve done all this, what now? It’s time to move onto the next step – finding and talking to several service providers to find one that will be a fit for your needs. Now that you’ve made a list of tasks that aren’t the best use of your time, looked at a few examples of projects that can be outsourced, software needed to handle your tasks, how much time someone would need to devote to your task(s), and the budget you have to work with it’s time to move forward – hiring someone to outsource to. You could easily go to Google and type in virtual assistant services and find numerous results. Instead of doing that it’s highly recommended you ask for referrals from those around you. Make a list of 3-5 people you know outsource successfully and ask them for names. To make things easier, when asking them, give them an overview of your needs from the list you’ve developed. After you have a few names, contact them. Most Virtual Assistants offer a free consultation call. Set up a time to have a quick phone or Skype conversation with them. It’s important to spend time talking with each one of them to get an idea of their skill set, their personality and whether you resonate with them at all. After spending some time on the phone, both of you will have a better feel for each other and whether or not it would be a good fit. Once you’ve hired them and talked about how payment works, it’s time to assign the project(s). This is, again, something that varies per person so it’s a good idea to find out how they handle this during the initial consult call (if they only like phone communication & you dislike being on the phone then that wouldn’t be a good fit, for example). For the sake of this post let’s just say you’ll be using email to communicate with your virtual assistant. It’s an easy and simple way to hand over the details of the project and when you need it done. Because technology can glitch sometimes and an email can get lost in cyber space, ask that the person you’re working with respond back with a quick message (something like ‘confirming I’ve seen this’) so you’re not left wondering whether they’re taking care of something or not. Another common way people choose to communicate, assign & keep tracks of tasks is through project management systems such as Asana, Trello, or Basecamp (just to name a few). When it comes to sharing files you need to give to the person you’re working with, Dropbox is one of the easiest ways to go. If you and your VA don’t already have it installed and set up, it only takes a few minutes to do. Not only does Dropbox make it easy to share files, it also ensures that you’re both working off the same/most updated version of that document. Another option is using Google Drive and sharing a document through there. 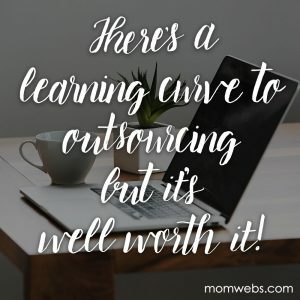 Keep in mind, outsourcing is a great thing but it can take a bit for both you and your VA to get into a groove and get things worked out and running smoothly. Don’t get frustrated and give up. Just go into it expecting there’ll be a bit of a learning curve…on both parts – yours and the person you’re outsourcing to. All in all, outsourcing is a win/win situation for all involved. You get to focus on what you love doing, free up more of your time to do those things and a VA gets to handle what they’re good at. In the end, not only will you have more time but you’ll probably also have more income coming in (from all the extra content you have the time to create)! My friend Tawnya over at VA Networking has a free download I recommend: Finding the Ultimate Virtual Assistant for Your Business (look on the right hand side of the page and you will see it). Want to learn more about outsourcing to a Virtual Assistant? Need a Virtual Assistant recommend? Ask for a referral in the Love People + Make Money Community!